More than a century has passed since the publication of Albert Einstein’s first papers on relativity and the structure of the universe. As we look back, we may marvel at how much we once did not know; more challenging, though, is to contemplate what has yet to be revealed. For millennia we have sought to understand our universe and its boundaries. We have continually tried to take it all in and find our own place within the whole. Limited and then wider encounters with our environment and its borders have progressively enlarged our sense of place. Today we can globe trek with a cheap ticket or even a mouse click. Yet, however far we travel physically or virtually, there remains uncharted territory: the secrets of the very substance of matter and space are only now beginning to open before us. Our flagships of exploration—networks of giant telescopes, atom-smashing particle accelerators, and most powerful of all, our capacity to imagine—take us to places that have eluded even our greatest thinkers. The insights of Albert Einstein, first published in five short papers in 1905 and enlarged in his work over the following decades, expressed fundamental ideas that have shaped the contours of this exploration. Just as the daring iconoclasts of the seafaring age are remembered and celebrated for remaking the map of the world, so Einstein’s work is acclaimed. His ideas of time, space, mass and gravity remain fully understood by only a few, yet their impact has been felt by all. The Einstein revolution did more than add quirky terms such as quantum leap, time warp and space-time to our common vocabulary; it undermined much of what we thought we knew about our world. If we ever believed we would eventually master the universe, we must now admit that no theory is likely to fully explain its strange and unpredictable structure. Just over a century has passed since the publication of Einstein's papers. It's an appropriate time to take a “relativity check” concerning the meaning and influence of his work. And while it is true that his contributions added greatly to the remaking of our model of the universe, they have done more. Einstein’s ideas not only challenge our sense of reality; they cause us to explore who we are and why we are here, and even to wonder where we will find the answers to such questions. Two hundred years ago, the universe and our place in it were thought to be well understood. Not only had humans charted the globe, but the laws of physics also seemed sure. For more than a century, Isaac Newton’s laws of motion had satisfactorily described the way the universe operated. From the publication in 1686–87 of the Principia Mathematica, through the late 1800s, Newton’s laws had been able to explain the observations of both Galileo (the acceleration of falling objects) and Kepler (the orbits of the moon and planets). Through his genius, the seemingly arbitrary qualities of inertia, mass, acceleration and gravity became interlocked and predictable for objects not only on earth but throughout the heavens as well. The classic Newtonian view is in tune with our sensibilities. The laws are logical and clearly evident from common experience: the china stays in place when the tablecloth beneath is tugged out, a balloon squirts away as air escapes, and the morning coffee spills forward when the car’s brakes are applied. We also experience time, distance and mass as predictable constants. We don’t feel any heavier when we are moving. Three minutes after the hour is the same time across the earth; “right now” is, at whatever point we choose, the same for everyone. Or is it? Our confidence in such perceptions began to come undone in the late 1800s. Because physics is interested in the interrelationships and interactions of objects and the forces that affect them, having a frame of reference from which to make measurements is fundamental. In the classic view, time and space were the absolutes, the constants against which all events could be measured. A belief in such absolutes seems justified through experience. It took the genius of Albert Einstein to understand a different reality beyond experience. Einstein, as a 26-year-old patent clerk in Bern, Switzerland, was bothered by the behavior of light. What would it be like to ride a beam of light, he wondered. 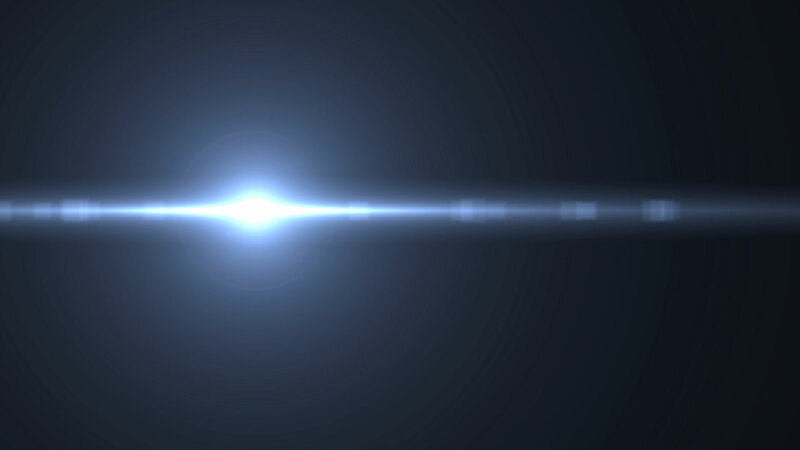 From a Newtonian view, a light beam would behave just as any other object would. If a rocket fired east gets a push from the earth’s rotation, so should a light beam. Experiments had shown, however, that the speed of light was constant no matter the direction the beam was aimed. 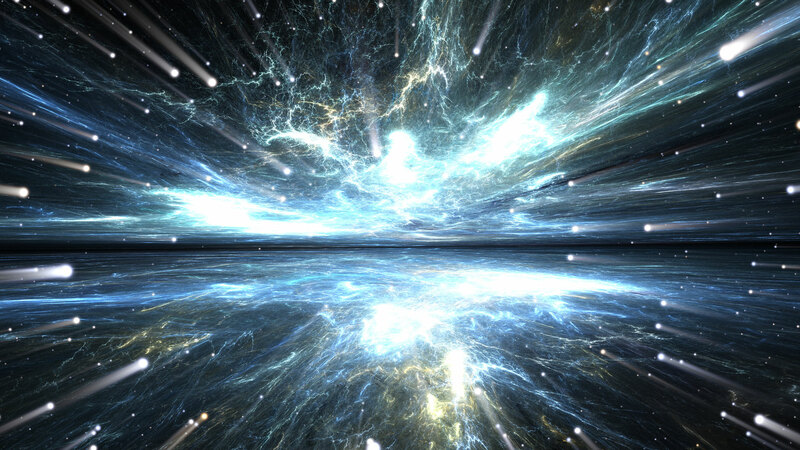 How can moving faster through space somehow slow the movement of time? But why? If the source of the light was itself moving, why was the speed of the light that came from that moving source not changing? As a theorist rather than an experimenter, Einstein devised thought exercises to explore such intuitively challenging questions. Surmising that the speed of light is constant regardless of one’s frame of reference (as the earlier experiments had shown), Einstein concluded that time and space must be flexible, not absolute. Personal experience of time and space gives us the sense that these qualities are separate and constant. According to Einstein’s Special Theory of Relativity, however, two observers within their own respective space-time frames of reference see a given event differently, precisely because the speed of light is constant. This was a great leap out of Newtonian relativity, where all events were judged against the supposed background, or “ether,” of space itself. To the classical physicist, the ether provided a universal frame of reference because it provided a medium through which light could travel; it also laid out a celestial “fabric” on which the universe was constructed. This ether, combined with the concept of absolute time, implied an instantaneous connectedness across the universe. Gravity, for example, was believed to be an instantaneous force: just as one cog interconnects with all others in a mesh of gears so that all turn together, any change in mass or gravity in one part of the universe was believed to alter the entire universe simultaneously. Special Relativity challenged this paradigm. 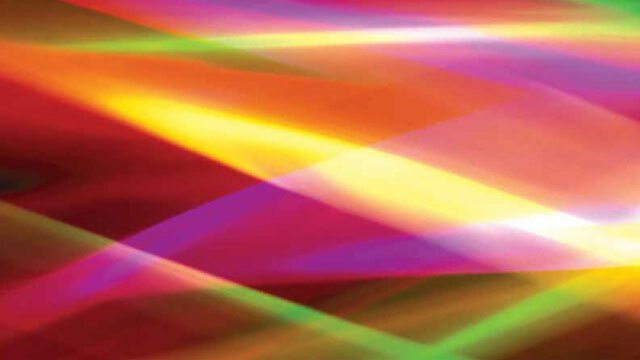 We now know that the speed of light sets the ultimate limits on how quickly one event can affect another. As if the proposal of ultimate flextime was not enough, on the heels of Special Relativity came another startling revelation: energy and mass are also interchangeable and related to the speed of light. Einstein’s best-known equation, E = mc2 (an object’s energy content equals its mass times the speed of light times the speed of light) was only the endnote of a remarkable year. While this equivalence would later become the basis for splitting the atom and producing the atomic bomb, in 1905 the concept of the atom itself was still suspect. When asked to describe the single most important thing that people have learned, physicist and Nobel laureate Richard Feynman replied, “The world is made of atoms.” The clever economy of this statement belies its powerful truth: all activities and processes of the modern world spring from an understanding of atomic interactions. The speed with which we have harnessed this understanding is fantastic. In his other three papers of 1905, Einstein’s analysis of Brownian motion and the photoelectric effect provided support for both the actual existence of atoms and ultimately their construction and behavior as well. The strange conclusion that light had the properties not only of a wave but also of a particle was an inspiration to Bohr. Accepting that light worked in packets, or “quanta” (now called photons), Bohr reworked the energy equations of the electron and the atom’s hidden structure. The planetary model, with electrons moving smoothly from one layer to another like cars changing lanes on a circular highway, gave way to the quantum model. In the quantum atom, electrons could exist only at discrete energies, jumping from one to another by absorbing or emitting quanta of energy. The analog atom had gone digital. Interestingly, in this quantum world it is not possible to determine the position and the speed of an electron or particle. Measuring one characteristic changes the other so the two can never be known simultaneously; the more accurately a position is known, the greater the uncertainty in the speed, and vice versa. For very small objects such as atoms, the starting conditions of any system cannot be fully known. Without this information, it is impossible to predict the future state of any system; only the probability of certain outcomes can be calculated. This lack of certain predictability was greatly disturbing to Einstein. He spent the last 30 years of his life seeking a unified theory, a Theory of Everything that would show that God “does not play dice.” He did not find it, and even now the search continues. Current theories of “strings” and “attractors” resort to a multiplicity of dimensions (even multiple universes) to attempt a reconciliation of the chaotic nature of quantum mathematics and the predictions of relativity theory. A theory that would describe all of creation, from the smallest building blocks to the entire expanse of the universe, is the goal of modern physics. As Columbia physicist and prolific writer Brian Greene notes, if science could create such a model, we would “have the deep laws of the universe in hand.” This set of laws “would be the beginning of our quest to use that deep understanding to fully explore this universe . . . to fully understand how things got to be the way they are” (from “A Conversation With Brian Greene” on PBS’s Nova Web site). Would these laws also help us to understand the place of humans in the universe? We live in a time of incredible physical achievements; to have learned to design and build our world not merely from materials but from an understanding of the most basic nature of those materials is an astounding accomplishment. One can be certain that the men who first smelted copper from malachite were viewed as brilliant—magicians in a sense—by their comrades. How much more today must we marvel at those who have given us access to the very nature of creation? In all the peeling away of the universe’s timeless mysteries, an ethic or value base from which to apply our new knowledge has not been revealed. Will science, so well equipped to dissect the material world, become the de facto arbiter of our values? Can the scientific method of hypothesis and experimentation finally lead us to right conclusions, a new mode of thinking? Or does it leave us dead in the water, a ship stranded in the doldrums, directionless? John Taylor, theoretical physicist and professor of mathematics at Kings College, London, believes science is our best hope. In When the Clock Struck Zero, he argues that “we now share our own destiny with each other in our increasingly interconnected society, and must look to see how scientific understanding can act like a refiner’s fire on our modes of living.” Yet when we examine what we have done with our new scientific understanding over the past century, we find little to justify such a hope. Expecting science to integrate physical knowledge to provide a moral fabric is essentially anchoring one’s hopes in the ether. Rather than seeing ourselves at the cusp of new discovery, we seem somewhat lost between the enormity of the cosmos and the minutia of subatomic particles, operating by rules beyond our comprehension. To expect to see God is akin to expecting to see television signals through our unaided eyes: both are outside the realm of human detection. While our scientific exploration of the world remains wholehearted, a long-sought Theory of Everything that fails to provide a reason for the way things are will also fail to satisfy us. Rather than insist that there is no reason, purpose or guiding principle underlying human existence, we should simply acknowledge that science is not configured for such discovery and that other modes of exploration must be employed. “It is true that convictions can best be supported with experience and clear thinking,” Einstein said in an address at Princeton Theological Seminary in 1939. “On this point one must agree unreservedly with the extreme rationalist. The weak point of his conception is, however, this, that those convictions which are necessary and determinant for our conduct and judgments cannot be found solely along this scientific way”. Shortly before his death in 1955, Einstein explained his unique scientific insights as simply being those of a curious child, an adult who retained a child’s openness to being led to new conclusions. “I developed so slowly that I only began to wonder about space and time when I was already grown up,” he professed. “In consequence, I probed deeper into the problem than an ordinary child would have done.” Herein lies a great clue to transcending the barriers both to physical discovery and to spiritual insight: to stride forward one must first remove the cement shoes of the status quo. When one shows an unsophisticated innocence and a humble willingness to be led into new territory, doors open. These are qualities that allow us to move forward, whether collectively (in the sense that new views of our world have come from those who stepped out on the belief that there was more to be found) or personally, because they challenge us to examine our understandings and beliefs. As noted in the New Testament, the kingdom of God is given to those who exhibit a childlike humility to follow the evidence to its full conclusion (Luke 18:17). Today, the evidence is showing that we must look outside the box defined by the narrow methods of science as it seeks a theory that will explain the sum of our collective and individual human experience. To admit that we are still looking, and that our eyes are still open to discovery, is often difficult. There is a certain comfort in the known world, in keeping our feet planted on familiar soil. To follow the evidence to new conclusions, however, we must be willing to explore. Feynman echoes this sentiment, noting that to be too stubbornly tied to any belief is costly and shortsighted: “The fact that you are not sure means that it is possible that there is another way some day. That openness of possibility is an opportunity.” He called this route an “open channel”—the way to a full understanding of our place in the universe and the principles of personal behavior. Clearly, this path to further discovery is no different than it has always been. It beckons us away from the comfortable. In some ways, it leads us away from what we’ve been taught or have always believed. History is dotted with discoveries that soon faded into either insignificance or disrepute. The work of Einstein has not suffered this fate; rather, it is rightly honored as providing the bridge that links our sense of the smallest and largest aspects of the created world. Yet, when we consider all we know or theorize that we know, our understanding is still lacking. Our greatest insight now is to perceive that there is more to the world and to reality than the physical alone. Modern experiments do not “prove the validity of a spiritual vision of the world,” Staune suggests. They do, however, “give such a vision rational validity, while making a purely materialist vision of life more difficult” (“On the Edge of Physics,” in Science & Spirit, 1999). In this respect, Einstein’s most valuable legacy is neither relativity nor the quanta; it is the way in which he approached the mysteries of the world. He found, no differently than we do today, that the standard wisdom often does not match reality; explanations are often incomplete and inconsistent. The willingness to reach beyond the conventions of the day and search out a deeper, fuller picture of creation remains his most timeless, challenging and encouraging lesson. “The important thing,” Einstein instructed, “is not to stop questioning.” Few today have the vision to take their exploration beyond the physical and the superficial. Fewer still are willing to look past the horizon for the answers they seek. Albert Einstein, Out of My Later Years (1950, 1993). Brian Greene, The Fabric of the Cosmos: Space, Time, and the Texture of Reality (2004).